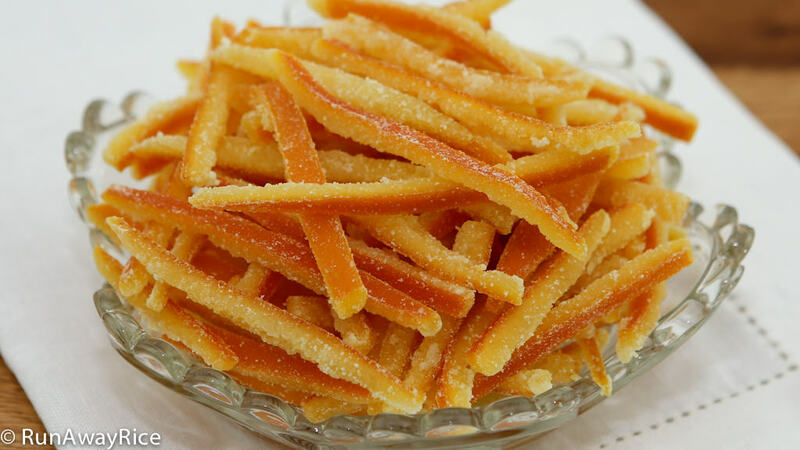 Make delicious Candied Orange Peels (Mut Vo Cam), tantalizingly sweet and bitter confections, with this easy recipe. Orange peels definitely have a bite but when combined with a sugar syrup, the pairing works amazingly well. It’s a decadent sweet treat that is all-natural with just 2 ingredients: fresh oranges and sugar. Did you know orange peels have lots of vitamins and minerals like calcium, copper, magnesium, vitamins A, B and dietary fiber? Don’t throw away these enriched rinds. Use them in this super-easy recipe to make a truly delicious sweet treat! Oranges with a thicker skin like navel oranges work really well in this recipe. I prefer organic oranges for this recipe as they are pesticide-free. Be sure to wash well or use a fruit and vegetable wash for good measure. 3 large oranges yield approximately 6-7 oz of orange peels. After cooking, you’ll have approximately 8-9 oz of Candied Orange Peels. The rule of thumb is 1/4 cup sugar per 1 large orange. If you would like the candy sweeter, add more sugar. Be sure to cook the orange peels until they are completely dry. Otherwise they may become moist during storage. If this happens, cook again over Low heat until completely dry. Store in an air-tight container. 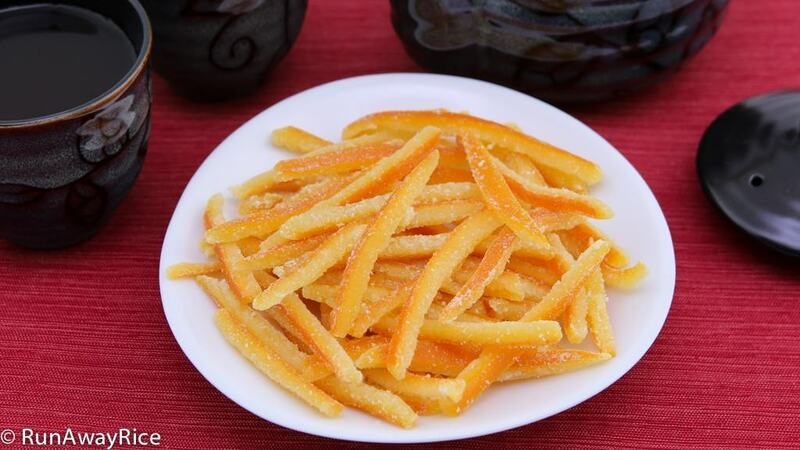 The Candied Orange Peels should keep for up to 1 month. Wash oranges thoroughly using warm water. Pat dry using a kitchen towel. Cut off the ends using a paring knife. Score the orange cutting just the skin. Continue making vertical cuts around the orange cutting each section about 1-inch wide. Remove the orange peel following the cut lines. Optionally, cut away some of the pith. Cut the peel into thin strips about 1/4-inch wide. Bring a large pot of water to a rapid boil. Add the orange peels and swirl in the boiling water for 1 minute. Transfer the peels to a bowl of ice water. Let soak for 2 minutes. Drain in a colander and toss a few times to remove any remaining water. Place the peels between paper towels and blot dry. Transfer the peels to a large bowl and add the sugar. Combine together and making sure the peels are evenly coated with sugar. Let rest for 1 hour. Transfer the Candied Orange Peels to a wire rack and allow to cool for 20 minutes before enjoying. 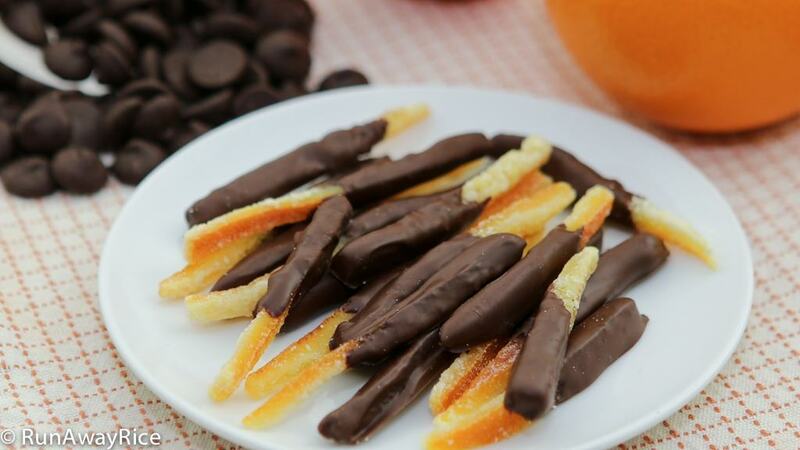 For an even more decadent treat, dip the Candied Orange Peels in dark chocolate. Here’s what you’ll need: 1/3 cup bittersweet chocolate chips. Using a double-boiler over Medium Low heat, melt the chocolate chips until you have a smooth and creamy sauce. Reduce the heat to Low. 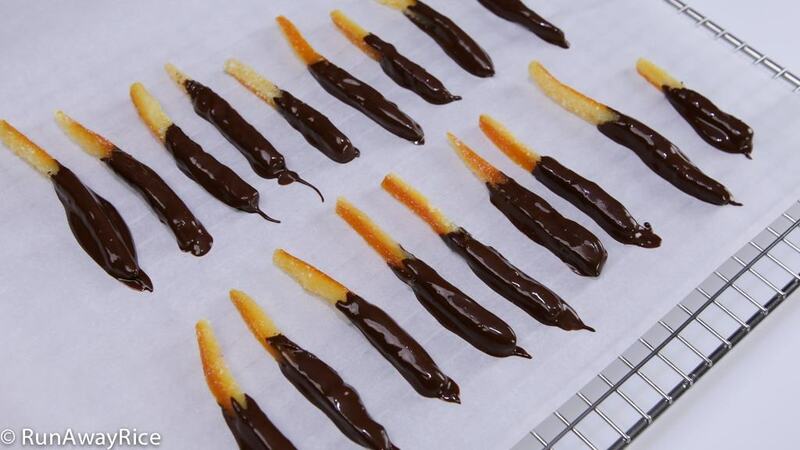 Dip the Candied Orange Peels in the chocolate sauce and swirl to coat it evenly. Place the dipped peel on a piece of parchment paper. Continue dipping until all Candied Orange Peels are done. Occasionally stir the chocolate sauce. Allow to cool for 30 minutes or until the chocolate hardens. I regret I found your Candied Orange Peel recipe a little late. Last week, my mom and I had a cold (well, one for each of us) and we had to eat a lots of oranges and mandarins but I already threw away all of the peel. This is the first time I found this recipe and never before heard about it..
I’m wondering in culinary industry, if the chef can submit her/his own invented recipe for a patent just like every other industry and invention. If so, you should do it. By the way, I like your website very much. Thanks a lots for all of the recipes. I hope you and your Mom are feeling better now. 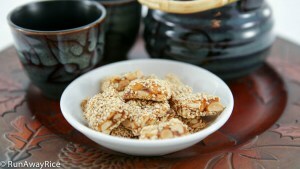 This recipe is especially popular for Lunar New Year and works as a soothing throat remedy too. The next time you have leftover orange peels I hope you’ll make some Candied Orange Peels to enjoy. I love the idea of patenting a recipe. I suppose a blog is a way of self-patenting a recipe. 🙂 Thank you for your kind words and for stopping by. Happy Cooking! Can I use regular orange instead organic orange. Thank you, Trang.i love your recipes simple and easy. Yes, regular oranges will work just fine! Enjoy! Thank you for such a lovely recipe. I love your website and the recipes. This morning, I made the Candied Orange Peels. While waiting for the peels, I tasted one peel. Then I tasted another. Wouldn’t you know they were all gone in less than 2 minutes. They are so delicious and easy to make. I regret that nothing was left to make the chocolate dip! Next time I have make more and save a few for the chocolate dip! Thanks for stopping by and sharing your results. 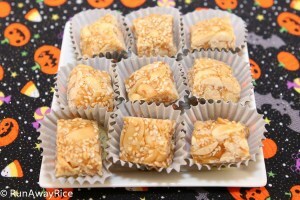 Hi Trang, I made it (oranges skin candies) so yummy good for this season.Thank’s for posting a good one.